It’s with heavy heart I work, as a volunteer, what probably will be my final weekend, on Oak Island, possibly ever. I’ve been involved, as a founding director and initially as the chairperson, of the Friends of Oak Island Society, since it’s inception in 2009. A very small group of us founded the society when Oak Island Tourism Society ceased to exist. OAK ISLAND, quite frankly, is a national treasure. It is home to the worlds longest active treasure hunt. The island has what appears to be a huge underground complex of pits and tunnels, to protect whatever treasure or artifacts lay below at a great depth…it is fascinating mystery. Treasure hunting has again resumed following the acquisition of a 5 year treasure trove license from the government. The “Michigan Group” (a really lovely bunch of guys) who are 50/50 partners with Dan Blankenship, are so committed to resolving the mystery, in a way that is sympathetic to the island, environment and to the local economy. The Friends of Oak Island Society, wished to bring regular, private guided tours to the island throughout the summer to raise awareness and keep alive the historical path of this treasure hunt. The island is private and therefore we have had to work with the owners, who have been incredibly supportive, to achieve this. All money raised through tours is put straight back in to improving the visitors centre (which we resurrected), tour signage, improvements as well as the ongoing cost of special tour insurance and equipment. We give of our time freely and love every moment of it! The tours will continue (if we can get more volunteers) but I’ll just be unable to be part of them. This will leave a huge gap in my life.. 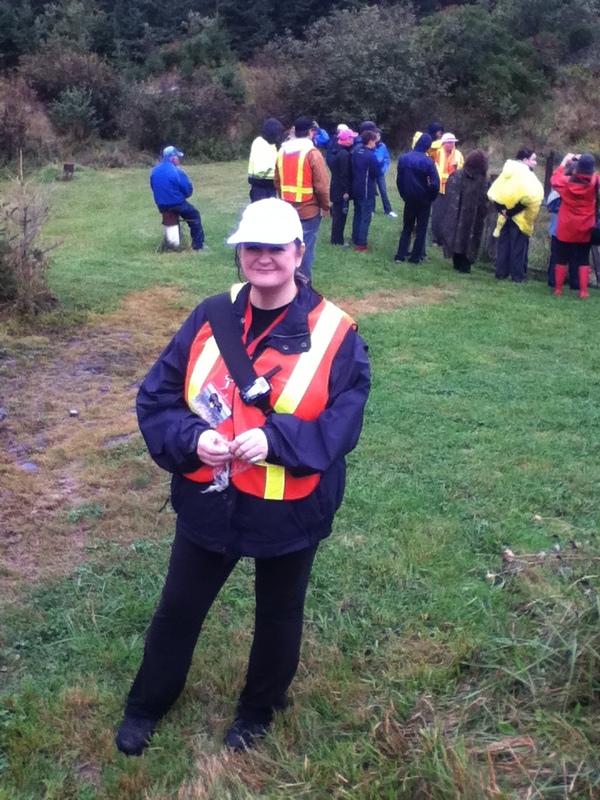 This entry was posted in Uncategorized and tagged oak island nova scotia, treasure hunt 2012. Bookmark the permalink.